For those that have followed me for a while, you know I absolutely love a small school guy. The likes of Phillip Lindsay, Adam Shaheen, or Jake Kumerow all get my heart racing. In my opinion, the small school hero for 2019 may be the king of Slippery Rock University, Wes Hills. From my research, the only NFL players I could find from Slippery Rock are Brandon Fusco and Greg Pattera…Hardly the Alabama production line. Despite the little attention for talent the small school may have, it didn’t stop Wes Hill from receiving an invite to the NFLPA Collegiate Bowl at the Rose Bowl. 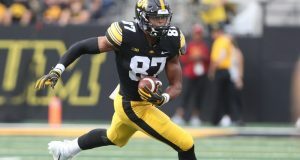 Last year, A total of 19 players that appeared in last year’s game were drafted in the 2018 NFL Draft and 30 additional players made opening day NFL rosters this fall. More than 40 players that played in last year’s game went on to receive invites to the NFL Combine. After receiving the invite, his head coach had nothing but great things to say about him. 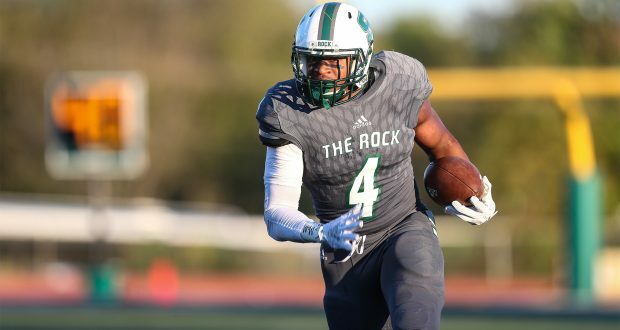 He said, “We recruited him hard and told him if he chose Slippery Rock that he would have a great chance to lead our offense and attract a lot of attention from the NFL. He bought in to everything we did, loved his teammates and served as a vocal leader of our program. Every team in the league visited campus to see him this year and he just kept getting stronger as the year went on. 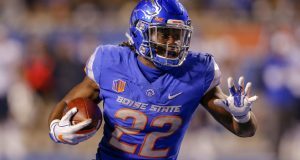 He’s an NFL caliber football player and we were very fortunate to have him on our roster this year.” I don’t see Hills being an early round pick if he makes it. More than likely I’d expect a late round pick with a chance at competing in camp. If he impresses enough then he’d obviously see snaps and you never know when your chance may come. With the amount of injuries at the position we’ve seen the likes of Trenton Cannon, Corey Grant, Damien Williams, and Jeff Wilson Jr all get starts this year. All he has to do is land on a roster. At this point it’s hard to say where the 6’2” 218-pound back will rank in rookie drafts. Most likely a 3rd or 4th round selection. I’ll be keeping an eye on whether or not he gets a combine invite and then analyze from there.